Truly Polished: Goodbye NL, hello UK! Today is the day I leave the Netherlands! I can't believe I've been ill the whole time I've been here! Yesterday was a real turning point though so my Dad took me into town to do some shopping in Groningen. I LOVE Groningen, my Dad has been living here for 8/9 years now and I come over every year. The people are so friendly and I like the fact that people speak English... I'm not the kind of ignoramus that expects it when I go abroad, but it's always a major bonus for me. I promised you all some continental beauties and hopefully this doesn't disappoint! I had a couple of polishes in mind when I came over here that I saw online, in particular a polish that looked like a potential dupe for Chanel Peridot, but none of them were in stock! So I just picked a couple of things up in Douglas, a local drugstore. 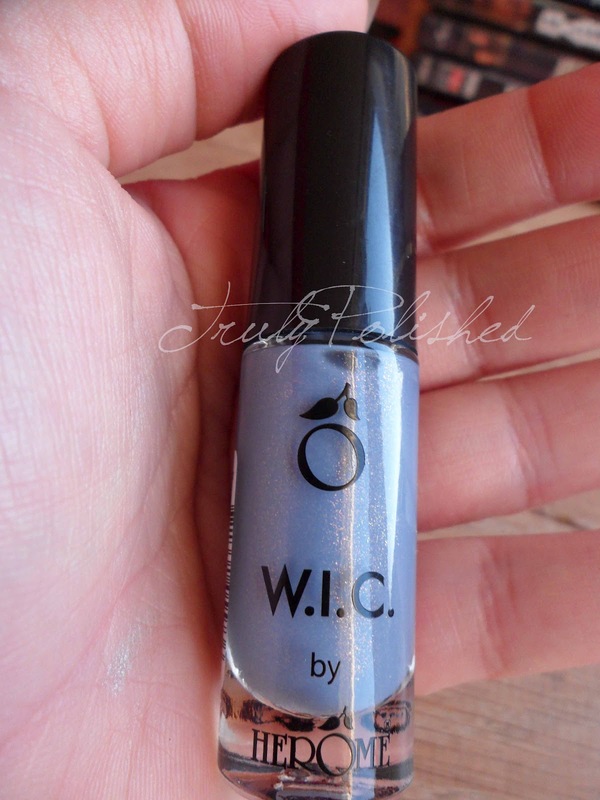 Click "Read More" to see individual photos of each polish! Absolute Nails - be balanced (the lower case isn't my choice!) is a mint green metallic polish that looks like it could be slightly foil like in appearance. W.I.C. (World Insprired Colours) by Herome - Bogota is about half way between periwinkle and lavender with what looks like a duochrome shimmer! Can't wait to get this on the nail! 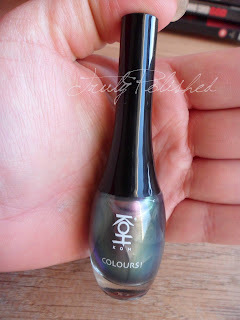 I really wanted to get something from KOH because you can't get it in England and they have some amazing polishes. I was hoping for a Peridot-esque polish after the one I wanted being out of stock so I was a bit disappointed! My Dad was trying to cheer me up and picked up Metallic Green saying he thought it looked similar... Errm no Dad it doesn't! He found Glamorous Purple as well and noticed it was the same effect as what I wanted, obviously I educated him that the word was multichrome! He said he'd get me the one I wanted so I had to pick, but I couldn't pick!!! I said I'd get one myself but he ended up getting me both! So thanks Dad! And an amazing one at that! I'll be swatching and posting these ASAP, but I'm expecting a LOT of nail mail waiting for me when I get home, so stay tuned! OMG! Wow! Lucky girl!!! Those KOH's are amazing. Once again, another polish I've never heard of. LOVE!! I think KOH is one of those brands that is just well known in Europe. You can't get it in England, most people haven't heard of it, more of a continental thing!